McCann FitzGerald has been named as the leading Irish law firm in the area of ‘Innovation in the Business of Law’ at the prestigious FT Innovative Lawyer Awards 2018 which were held in London last night. The firm took away three honours in the category for its partnership with Women’s Aid, its development of cutting edge legal services technology and the creation of a new People Services division. The partnership with Women’s Aid provides legal information and assistance clinic to support women experiencing domestic violence who are representing themselves in domestic violence and family law proceedings. Led by Mary Brassil, partner in McCann FitzGerald’s employment group, the project saw 40 of the firm’s solicitors undertake comprehensive training and mentoring in domestic violence law and family law in order to provide a fortnightly clinic on such matters as separation, divorce, custody and maintenance. The firm was also recognised for its work in developing innovative, AI-driven client solutions including a GDPR gap-analysis application. An online compliance tool built using award winning Neota Logic software, the app was the first of its kind in Ireland. Further commendations were also awarded to McCann FitzGerald for its creation of a people services division, a formalisation of its secondment programme that allows the firm to fulfil clients’ demands in an agile manner, without impacting internal teams. 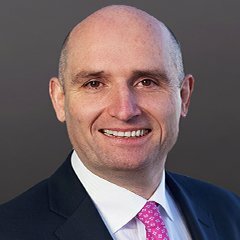 Separately, McCann FitzGerald was recognised for its work advising Greencoat Capital on the acquisition of two wind farms and the subsequent listing of its operating company. The FT Innovative Lawyer Awards, now in their thirteenth year, are one of the top legal awards in Europe.